Editor’s note: The author Paul Breunich is President and Chief Executive Officer of William Pitt and Julia B. 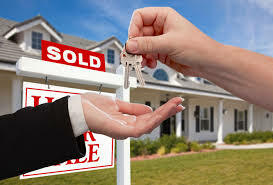 Fee Sotheby’s International Realty. As we closed 2017, another year of exceptional growth for real estate over the year prior, it is striking to note that the new year started with somewhat lower sales versus the first quarter last year. The declines are not enormous, but they are consistent and therefore significant. Every market we serve experienced a small decrease in either unit sales or dollar volume, or both, from quarter one of 2017 to quarter one of 2018. Westchester County, N.Y., was down by 6% in unit sales and 4% in dollar volume, with the southern county seeing a decrease of 7% in units and 3% in volume, and the northern county down 4% in units and 8% in volume. 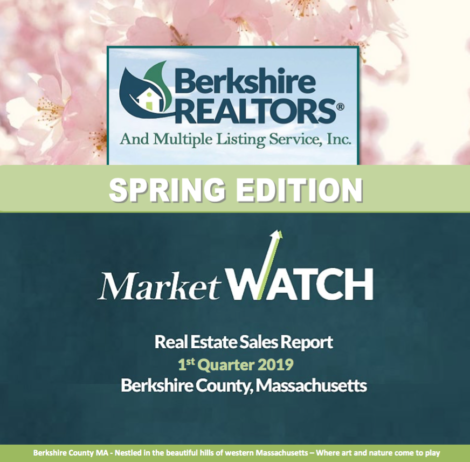 In Connecticut, Fairfield County saw unit sales decreasing by 2% and dollar volume by 3%, Litchfield County had unit sales about even and dollar volume declining 5%, and the Shoreline region of New Haven, Middlesex and New London counties saw unit sales dipping 5% and volume a slight 1%. In the Berkshires, Mass., unit sales slid 14% while dollar volume was flat. It is interesting to consider some historical perspective. Looking all the way back to our annual Market Watch from 2012, we said that year represented a period of solidifying the splintered gains of the preceding eighteen months into a cohesive movement forward. It was the moment we could confidently state that our markets were surging ahead and out of the recession, and nearly every year since has witnessed continued momentum. 2014 took a slight dip under 2013 but still stood as our second best year in sales since 2007, and each year following saw further gains over the previous year. All of this is to say that it has been a very long time since we observed an overall decline in sales year over year. One quarter’s closings are a function of the previous quarter’s contracts. It is clear then that the lower rate of closings this quarter may be explained by a pause that occurred among many buyers at the end of last year. We believe the passage of the new tax bill helped to prompt this pause as it spread a degree of uncertainty among consumers, particularly in those states like ours where the bill may have the greatest effect on income and property taxes. As a result, sales are off to a slower start this year, and yet on the flipside, we remain in a very healthy economy where all signs point to an ongoing strong foundation for the real estate market. The most recent reading of the GDP recorded an expansion of 2.9% in the fourth quarter of 2017 with the largest growth in consumer spending in three years. At the same time, unemployment is holding steady at its lowest rate since 2000 while the job market continues to grow, interest rates are inching up but still at historic lows, and the stock market, while certainly experiencing recent fluctuations in response to potential policy changes, still stands at incredible heights. Consumer confidence, historically the key leverage point in determining the outlook on real estate, remains at elevated levels with a March reading of 127.7 (1985=100) after a historic 18-year high of 130.0 in February, according to the Conference Board Consumer Confidence Index®. With so much positive news on the economic front, we would expect to observe a robust real estate marketplace, and indeed we witnessed an uptick in sales in March in many of our areas. And in Fairfield County, units under contract are tremendously higher over this time last year, which is good news for the next quarter. We do feel optimistic that high consumer confidence will override concerns associated with the tax bill going forward, though at the same time we cannot predict the future. In recent months we’ve seen many in our industry speculate in the media on how tax reform will impact the real estate market this year, but our comment in our annual 2017 Market Watch was that it was too soon to tell. We have said it’s irresponsible to draw firm conclusions so soon after the signing of the new law, and we stand by this position still. Every market served by our company experienced declines in unit sales or dollar volume or both this quarter, and the Berkshires was no exception with unit sales sliding 14% compared to the first quarter of 2017. Yet dollar volume was flat with last year, suggesting an increase in higher end sales—and indeed, we saw the average sale price in this market increase by 4% and the median price by 28% over the first quarter of 2017. The average sale price was up even higher in southern Berkshire County. With consumer confidence and other economic indicators remaining positive, we have every reason to believe the market momentum will resume soon. We reported last quarter that the first several new construction condominium offerings at the luxury spa and wellness resort Canyon Ranch in Lenox, listed exclusively with William Pitt Sotheby’s International Realty, went into contract. 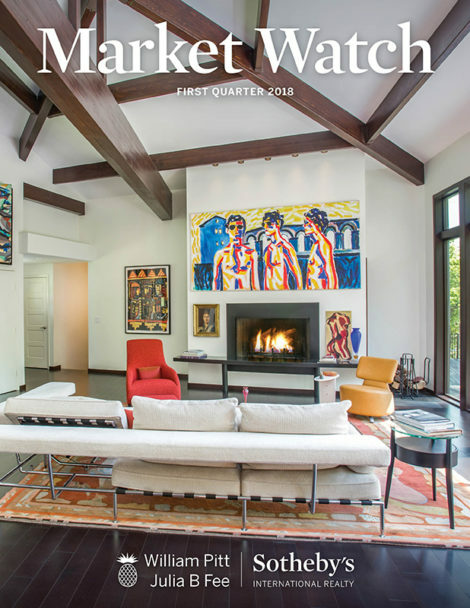 This quarter those sales closed, and, combined with the quarter’s upper end single family residential sales, brought million dollar-plus units surging over the same time last year. Million dollar buyers have been back in the market since the second half of 2017, many of them scooping up properties that have undergone significant price reductions over time, ultimately landing in a price bracket presenting an opportunity too irresistible to pass up, according to Berkshires assistant brokerage manager Tim Donnelly. 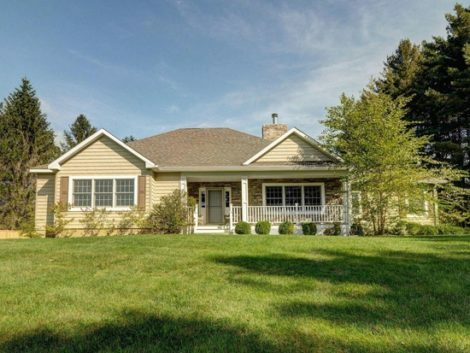 The Berkshires has been dealing with low inventory for some time, and, while that remained the case in the first quarter of 2018, the market is approaching its traditional peak listing season, says Donnelly, so new offerings may be expected soon. 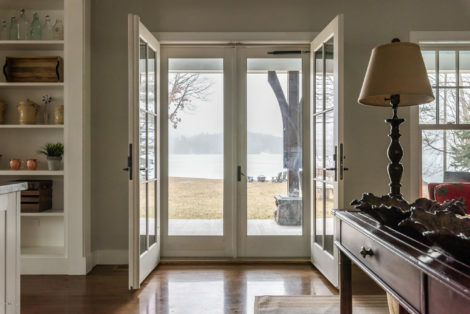 New listings are already launching in fact, an early start for a market that usually sees fresh inventory arriving closer to May, Donnelly remarks. The first quarter, however, finished with total active listings about 16% lower than the same time last year—an ongoing theme for over a year now—and new to market listings down about 9%. The lower inventory contributed to the drop-off in unit sales this quarter versus the first quarter in 2017, as well as a 14% decrease in under-contract properties. With sellers typically realizing sale prices around 90% of their list price, the Berkshires continues to be a price-driven marketplace. In some cases, when a new listing comes to the market and is priced correctly, it will enjoy brisk activity and sell above the average days on market. 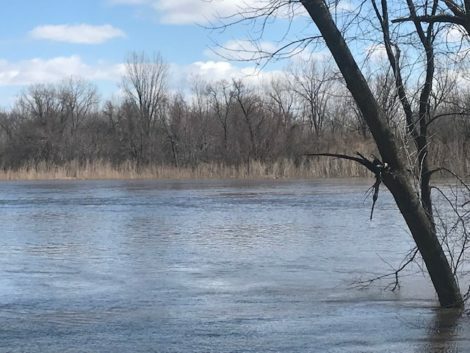 Donnelly states that the Berkshires is not usually a multiple-offer kind of market, yet there have been instances of this recently across all price ranges when a property is priced at or below market value. I hope you find this report informative on what’s happening in your market, and invite you to contact one of our sales associates if we can help you with any of your own real estate needs. The full report is available to view or download here. I would like to hear perspectives about the gentrification of these counties by the influx of wealth buying up houses and land for investment by capital as flipping projects, and second homes for wealthy people from the cities. As a carpenter in southern Berkshire County, that’s all i work on these days — second homes for wealthy people. And yet i cannot afford land myself, while working full-time on these second homes, which shows the harm done to the local population. Some people who have houses or land already may benefit by appreciation of their values, yet those who don’t have land yet may see higher wages but not in proportion the the increased cost of living. It’s gentrification and changes the economic and social landscape, and yet i hear nobody talking about it except my friends — not the media much save for one Boston Globe article. As a marketer in the tourism sector of Berkshire County a few things strike me that I wonder about: In metro NY and Boston there are 25 to 40 yr. old (young) who now have the resources to purchase 2nd or 1st homes in the Berkshires. Has there been any market study in the real estate world to determine ‘how” to specifically target these folks?